I read 160 books last year, which was a record number for me since going back to full-time work a few years ago. While it felt like an achievement, upon reflection I realized my satisfaction with my reading life wasn’t any higher than the years when I read fewer books. In fact, the breakneck pace and the pressure to finish my current book in order to move on to the next sucked the joy out of the whole thing. It felt like an empty victory. I don’t necessarily do New Year’s resolutions, but January always feels like a good time to take stock and get the train back on the tracks. This year, one of my goals for my reading life is to slow down and enjoy the books I read. It seems simple--pleasure reading should be pleasurable--but I’ve always been super good at taking something that is meant to be fun and turning it into a chore. Last year I shied away from long books and books that felt too dense or too heavy or too difficult. This year I want to read what sounds good to me in the moment, regardless of how long it takes me to get through it. And one of the reasons I decided to slow down was this book. I received it as a Christmas gift and savored it over the holiday. I don’t have a lot of time off in December—this year I just had Christmas Day off and it was back to the grind on the 26th—but instead of rushing the pages past my face, I took my time and sank as deep as I could into the beautiful world of manners, magic, and romance. And wouldn’t you know it, I absolutely loved it. I felt like I was reading the book the way it was meant to be read. Nina lives in a fantasy world based loosely on the Belle Epoque (late 19th-century France). She grew up in the country but has been sent to stay with her cousin and his wife in the big city, where everyone hopes she can find a husband. Her cousin’s wife, Valerie, doesn’t think much of Nina and is constantly frustrated by her rough, impulsive manner. When Nina pins her romantic hopes on Valerie’s old flame, Hector, a love triangle of epic proportions is born. Sounds great, right? But wait—there’s more! I haven’t even gotten to the fantasy part yet! Nina has telekinetic powers that she isn’t very good at controlling—hence her inability to blend in with the fancy company her cousin keeps. Hector piques her interest because he is a stage magician who has powers like hers. The magical aspects of the novel don’t seem very important for most of the book; it reads more like historical fiction than fantasy, with the focus on the drama between the three main characters and the ins and outs of high society. But Moreno-Garcia is way too talented a writer to leave throwaway details laying around. The magic isn’t important—until a heart-stopping scene when it really, really is. 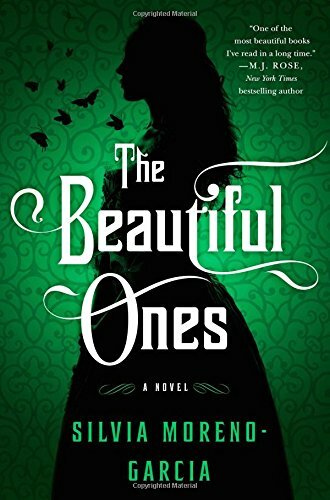 The Beautiful Ones is just a really lovely love story. I’m so glad it inspired me to slow down and enjoy reading again. Newer:Breath, Eyes, Memory by Edwidge DanticatOlder:2017: A Great Year for Reading!